Are you in search for a rice crispy treat that does not use marshmallows? How about one that doesn’t get rock hard after a day? Even better…one with no added sugar? 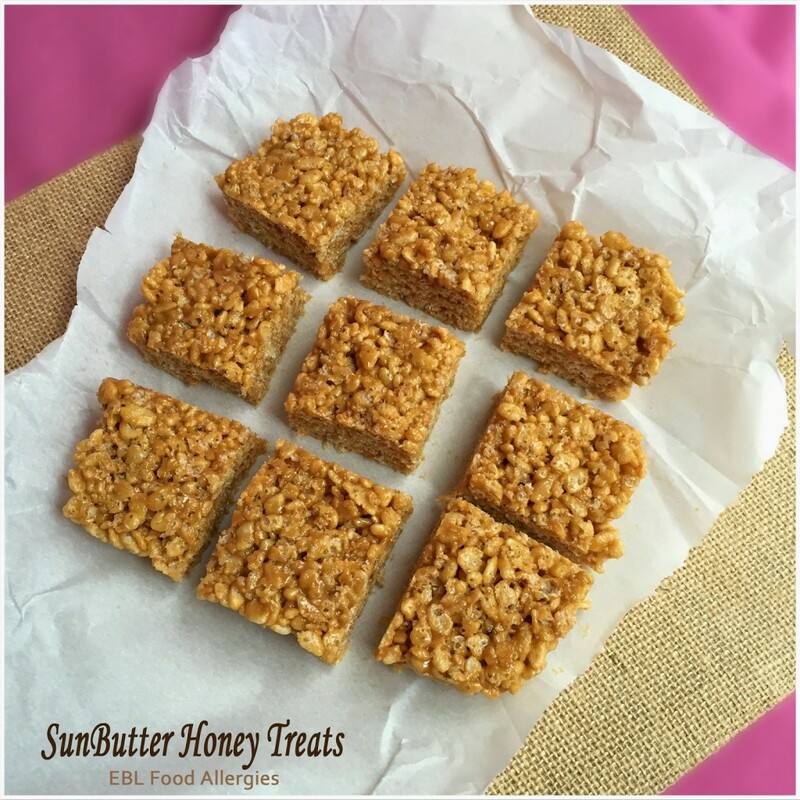 Then you’ll love these delicious SunButter Honey Treats. They’re gooey, delicious, and just happen to be allergy-friendly and gluten-free! Often times when I’m not creating my own original recipes I go to the internet for ideas. My Mom sent this recipe to me just the other day and I made it with some substitutes to accommodate my son’s food allergies and the result was delicious. 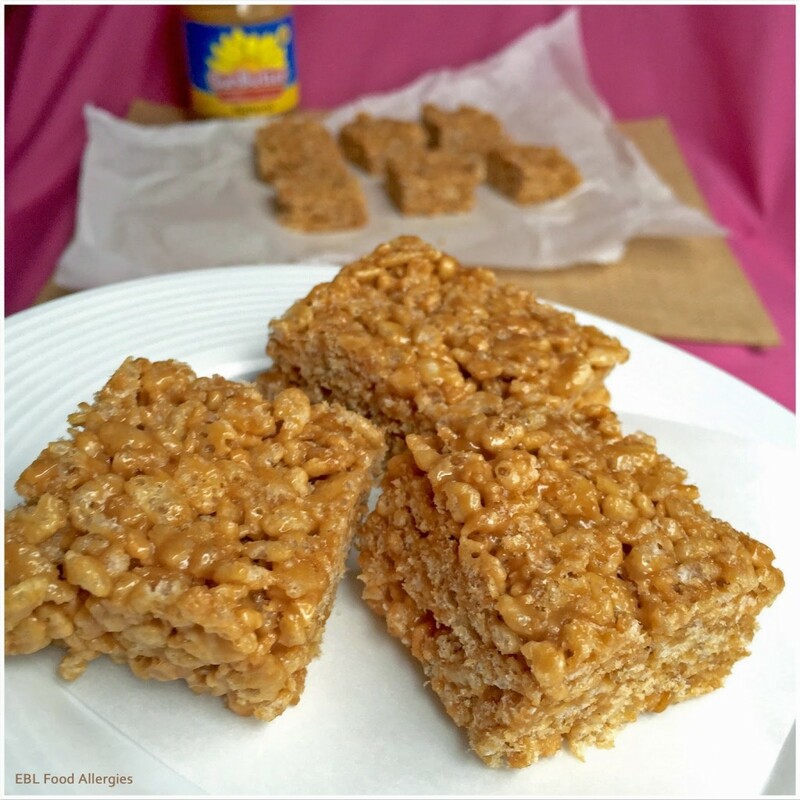 Thank you Debi from happily unprocessed for the idea for this great recipe! Heat all of the ingredients (except for rice cereal) in a medium size pan over low heat, mixing well. Mix together rice cereal and SunButter mixture in a large bowl until well blended. Empty contents into the parchment lined baking pan and press mixture into the pan. I hope you enjoy these treats as much as we do. They are the perfect dessert to have with a cup of hot chocolate rice milk!